Our precision processes can meet even the most stringent aerospace manufacturing specs. Investment cast airfoil surfaces use AFM for uniform polishing even in inaccessible areas. The surface finish on the cast blades is improved from an original 70 micro inch finish to a 16 micro inch (ra). The process is also used to remove milling machine marks and improve finishes on the complex airfoil profiles of impellers, blades, and stator vanes. Precise, polished edge radii on the attachment features of disks and blades provide increased fatigue strength. Cooling air holes are deburred and radiused in one operation on turbine disks. Absolute removal of thermal machining recast after EDM or laser machining can significantly improve the fatigue strength and life of highly stressed components. Additionally, the material removed from the blades and resulting surface improvement on the faces of the blades will tend to enable more balanced flow capability, along with the added flow capacity, especially at high rpm. 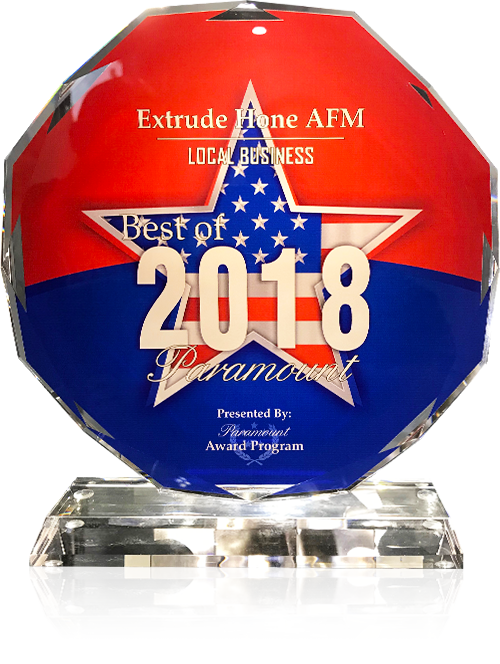 If you would like to learn more about how Extrude Hone AFM can support and enhance the optimal performance of your aerospace parts, please contact us today at (562) 531-2976.